Tasharen Water - Depth Seam Between Cameras. I'm trying to use Tasharen Water with a two camera setup, one for stuff far away, and the other for stuff close. Things are mostly working except for a seam between the two cameras. Appears to be considering everything near the far clip plane of the closer camera as shallow water. 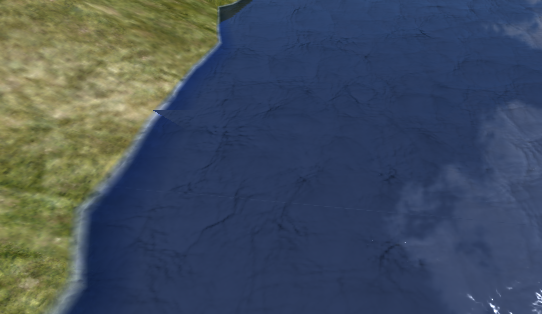 I was messing around with the shader and it looks like the depth test ends at the far clip plane so the water just before the clip plane is considered very shallow. 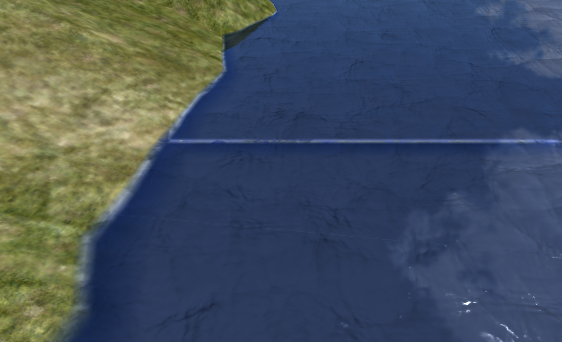 Best I've been able to come up with is treating anything with a depth about equal to the far clip plane as deep water. 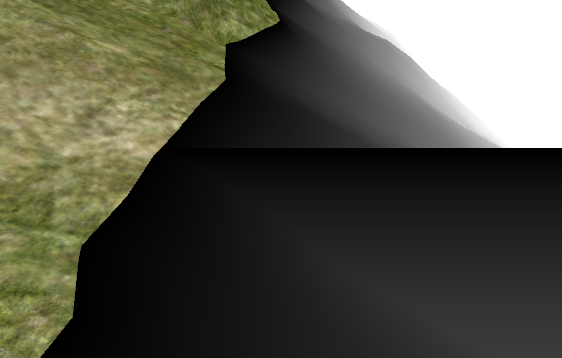 This mostly fixes the seam except near the shore where the terrain meets the clip plane. Ideas, suggestions? Thanks! Re: Tasharen Water - Depth Seam Between Cameras. Your work-around will work fine if you actually draw water front to back instead of back to front.